(BPT) – While Americans tend to associate the holidays with togetherness, joyful occasions and feelings of warmth and happiness, the season can also worsen feelings of loneliness and isolation for some people – especially older adults. Loneliness is not only bad for seniors’ mental health, it can affect their physical wellbeing as well. Research illustrates the link between loneliness and the advancement of dementia, deterioration of physical health and shortened lifespans. Conversely, multiple studies show feeling connected and happy is good for your health and can lead to a longer lifespan. What’s more, happiness really can be contagious. In fact, one study by researchers at the University of California and Harvard University found surrounding yourself with happy people can make you more likely to become happy yourself. * Your loved one has suffered a loss, either the death of a spouse or friend, or relocation of a long-time cohort. * They give verbal cues, such as complaining they have no friends, feel confined to their home, have no one to talk to or severely miss a long-deceased companion. * They exhibit signs of depression, including trouble falling asleep, irritability, loss of appetite and disinterest in activities that used to excite them. * Their eating habits have changed. Seniors who are feeling isolated and depressed may lose their appetite, or engage in unhealthful comfort eating. * Personality or behavioral changes are evident. Your normally stoic loved one has become tearful, a chatty person becomes quiet, or an out-going personality is now withdrawn. * They become “clingy,” holding a handshake or hug longer than normal, and becoming upset when it’s time for a visit to end. * They complain of pain or health issues that the doctor can’t explain. In some cases, the “illness” may be an attempt to get attention. In other cases, it can be a physical response to loneliness. * A person who was once very capable may begin to have difficulty managing daily tasks or their finances. * Get moving. Physical exercise increases the body’s level of “feel good” hormones, and can contribute to improved sleep, as well as fewer aches and pains. Seniors should get 30 minutes of moderately intense exercise per day, and if you exercise with companions, you’re also reaping the social benefits of the activity. * Sit down with a friend or family member and watch a funny movie or TV show together. Laughter’s positive effects on the mind and body are well documented. Laughing together improves mood and can make people feel more connected. * Make new connections. Sit with someone at lunch whom you don’t know well. Ask a neighbor to go for a walk with you. Join a club or social organization. * Help yourself feel better by helping others. Volunteering has many positive effects on mental health. When you volunteer your time to help others, you’ll feel good about your actions and also expand your opportunities to meet new people. * Learn something new – it’s not only good for cognitive health, it gives you the chance to make new connections with other students. Take a craft class, go to a personal finance seminar or take a cooking class. 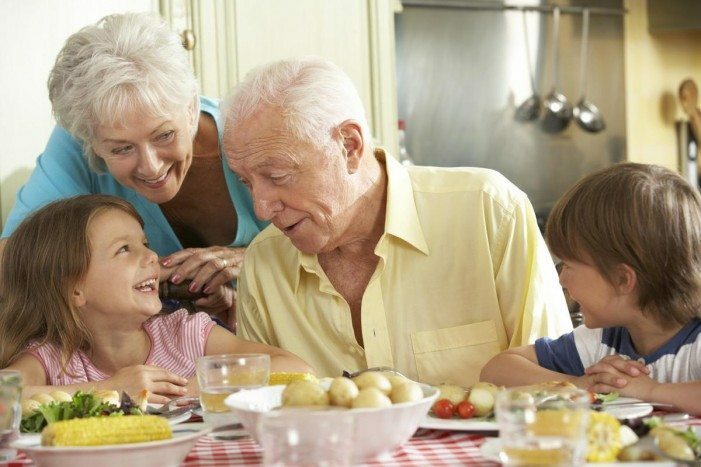 Visit www.brookdale.com to learn more about senior living and for tips on combating loneliness.